01) Hello. Thank you taking your time in answering the questions here. Let us start with typical way, when did you realised that the urge of creating Metal of Death is so strong that you start the band? How were the first rehersals? Well, the urge for death metal has been with us for a good while now. Only problem was that none of us was playing in a death metal band! Finally in 2007 Antti (guitar) approached rest of us and asked if we would be interested to start a new band. Style would be relentless death metal! We didn’t hesitate. Sadistik Forest played first rehearsals in Oulu, during Jalometalli metal festival. It was in summer 2007. We’d play in mornings and head out later in afternoon to check out bands. Great fun! 02) You are young band but let us see your statement in this matter: 4 years of existence... when and what was/is the most hard times in band's existence? Which problems as Sadistik Forest you have to face? In a way, it’s a constant struggle when you play in a underground group like ours. After only one album under our belts, we’ll have to try to maintain our name in the scene and take our music constantly to new people. This means, basically, that we have to get a lot of things done ourselves, as no one is gonna do them for you. But this is only a positive challenge. This is what we’re determined to do. Keep on playing gigs steadily, write new material, develope as a group etc. etc. There’s no way, but the hard way in the underground. Let’s hope that some day work pays off with a loyal fan base. 03) Btw. why have you choose such a name for the band? Wasn't you affraid that it can be associated with australian Sadistik Exekution and therefore with more Black Metal? This question keeps on popping up. Hahah. The name came to be in a state of serious hangover by our drummer Vesa. Spontaniously cried out name kept on living and you’ve got to admit, that even if you love it or hate it – you will remember it. And that was what we wanted. If you wanna be pseudo-philosophical, you can say it represents death metal and black metal. Two styles of extreme metal, that we’ve all grown up with. But this wasn’t in our minds when the name was invented. 04) It always been interesting thing with your country Finland that there is not much people living in such a vast land and there is so many talented bands as it comes for metal music. The most known is Finnish Black Metal scene but you have Death Metal bands that stay more in the underground forming something you may say 'local scene'. Skullfuck, Fleshcraft, Slugathor (R.I.P. ), Desecresy, Cadaveric Incubator... and more then this. So what is the secret? I wish i knew. I’ve given this a great deal of thought myself. One thing could be that Finnish scene is somewhat ”pure”. Trends have never affected us that much as they have affected the rest of the world. For example death metal bands have just kept on going from where the original death metal wave in late 80’s/early 90’s left us. No matter what happens to be ”cool” or ”in” in that moment. 05) You have signed papers with Violent Journey Records which has very different bands in their catalogue from post-punk to Death / Black Metal. Aren't you affraid that they may not cope with promotional action? That even you'll have your album out then very rare maniacs will no about it? I’d see this completely the other way around. We were contacted by some other labels too, but none of them shared the same level of honesty and caring for their bands as VJR did. In a big label a band releasing their first album could easily be forgotten and tossed aside. Especially, when record sales aren’t what they used to be. This was never the case with our label. All the bands signed mean a great deal to them. Violent Journey Records knows also what it is to be a underdog and this is important, when you work in the underground scene. VJR was the best choice for us to be releasing our debut album. 06) What about the lyrics. What is the most important message for the listeners? Or is it just mainly the addition to the music which is not so important. I’ve always said that if the lyrics wouldn’t mean a thing, we’d play instrumental music. On our first album there’s a lot of talk of failures in life. Basically, waking up one day to the fact that you’re done and you never even lived. There’s a lot of realistic stuff, as i find it to be brutal. We’re currently finishing up with the material for our new album and i’m working on a more of a conceptual thing there. For the first time i’ve had the opportunity to write material knowing that it all will be on same album. That has opened a great deal of creative doors for me. It will not be a pure concept album, but more of a collection of songs that view the same thing in different ways. 07) Also you used your mother-tongue language. What was the purpose for that? You’re referring on our track Äpärä? That is a intrumental piece, like a prelude to album ending song Withered. There’s no lyrics there, so we thought why not to give it a finnish title anyway.. All our lyrics will be in english, though. Now and in the future. 08) Death Metal of yours I would say is timeless. For me it is a perfect mirage of how to use technique skills and transform them into more old school Death Metal with modern sound. Do you agree? What do you think about all this new bands playing this ultra technical stuff? Death metal is about brutality, sickness and extreme heaviness. I personally don’t see how that could be achieved with technical shredding and hyperfast geek-sounding blastbeats. Give me Dismember any day, rather than that stuff! The riffs are what make the song, not how fast or technical you are. 09) As we speak about old school... Can you tell me what you think about getting back on scene of some 'tyrants of Death Metal' like: Asphyx, Morgoth, Pestilence? As long as it’s honest, brutal and you can tell that the bands are doing it from their hearts, not for quick fix of cash, it’s more than welcome. Such giants like Asphyx or Autopsy are most likely to deliver a new wave of fans for original death metal and old school in general. I had the opportunity to see Apshyx, actually, and ended up moshing my neck beyond repair in the audience. 10) And what do you think about the condition of the legends that are still alive like Deicide or Malevolent Creation? New Deicide album hasn’t got too much of a critical acclaim, but i love it!! They’ve done some of not too great albums in the past, but new one is a killer. Definitely one of my favourite albums this year. Cannibal Corpse are still the best death metal band when they play live, so i suppose legends are doing all right. 11) Last album of Morbid Angel... Any comments? Directionless release that cannot decide, should it be a death metal or industrial album. 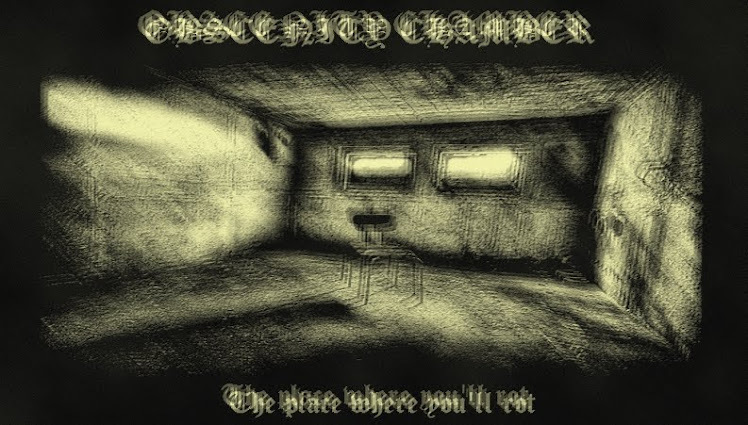 12) To be honest when I saw your cover art I thought that I may have here or a military Death Metal in vein of old Bolt Thrower or it can be something average in the mixture of Black/Death Metal style. I know that the cd and music itself is most important but don't you think it may be a little bit confusing as a first visual connotation? We tried to avoid the usual zombie/splatter/gore visuals usually associated with old school death. There are tons of bands sporting that graphic style already and we wanted to stand out, make people think ”what’s this?”. It’s a debut album and you have less than five seconds in a records store to make people stop and take a better look when the band is not familiar. 13) The most important thing in your debut album is everything sounds very alive and even you used triggers for drums it is not that bad as many bands do, ex. Krisiun where you can hear the most annoying drum-kicks in the history of Death Metal. Is that you think the way you'll follow? To be modern in sound but rooted in old old school arrangements? We recorded the basic tracks (guitar/bass/drums) live in studio, without using a click track. Just basically blasted away. I think that is how death metal should be recorded anyway. If you listen to old Cannibal Corpse albums, they do not go in time all the way! Those little slowing downs and quickenings of pace are the things that define the spirit of death metal. It has to breathe!! Even when done in modern studios of today. The drum sound is done that way to give things power and clarity. I’m afraid that you cannot achieve that with analog equipment, especially when speaking of fast kick-drum parts. 14) Daniel Ekeroth wrote 'Swedish Death Metal' so maybe it is your turn to write a book 'Finnish Death Metal'? 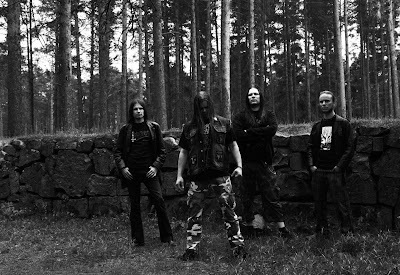 You think it would be possible concerning the condition of nowadays scene and the history of Death Metal from Finland? Oh, definitely. There are tons of bands in the past and present day that would interest people and maybe the book would actually enlighten what makes Finnish death metal Finnish death metal. There’s an idea for somebody!! 15) How often do you play live? Also what are your conditions to book you for a gig? We play live regularly. It’s the best way of promotion for us. We are a live band and this is where we are on our most lethal. 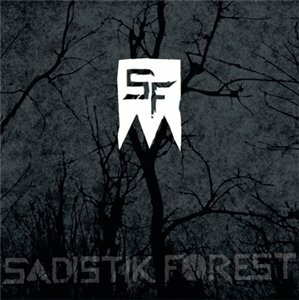 As Sadistik Forest is a young group, a good gig opportunity is more important to us than money. If set features great bands, or it is in a town we haven’t played before, it won’t take much to get SF on stage. 16) Future plans? When can we expect next assault of yours? We start to record our new album in the near future - Studio is booked for August 2011! New songs have been coming for a while already, so there has been a great deal of development as songwriters and as a band. The receipe will be the same – old school death metal, with a hint of thrash, black and grind, recorded ”live” in the studio. Don’t matter. They will both die eventually. Propably alone. 18) Thank you for your time. Horns up! Thanking you! It’s been a pleasure and cheers for checking Sadistik Forest out. Let’s keep on supporting the underground!